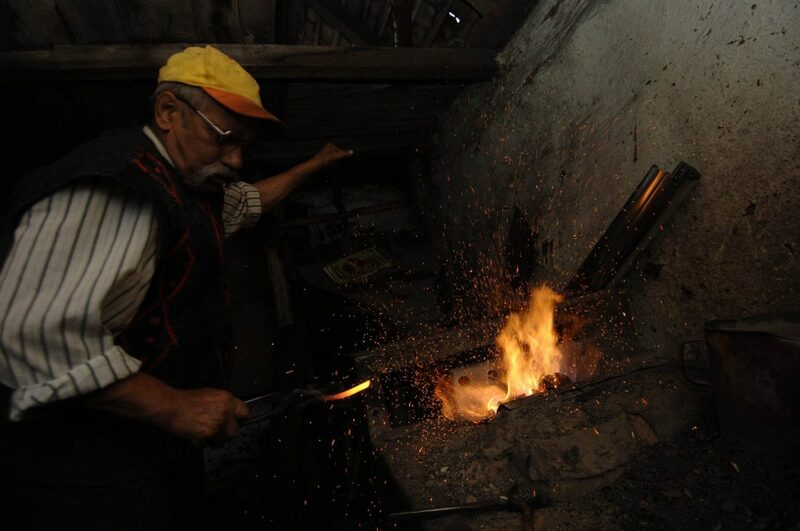 development of rural tourism, including innovative mountain bike trails which attract visitors and income to the area, a unique mountain-bike trail created with local labour, volunteers and minimal investment increased significantly the number of visitors and the local income. 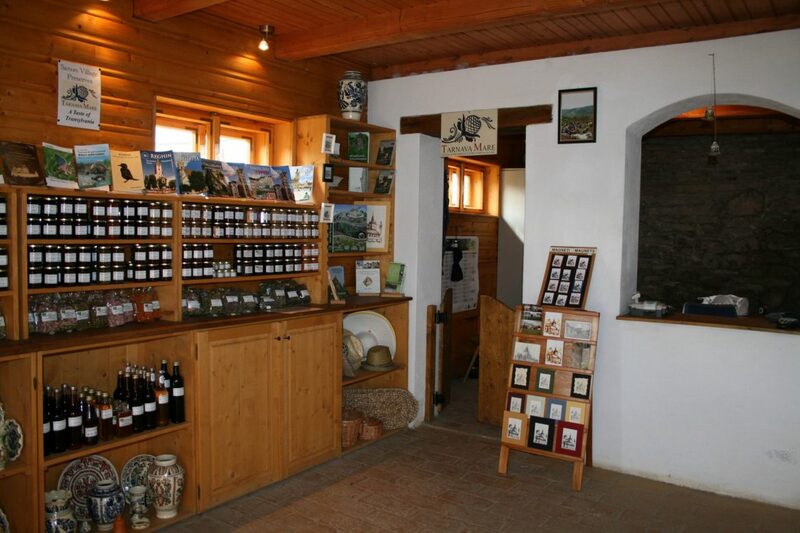 Linking visitor experience with local incomes, offering a range of activities and traditional products from bird watching, trecking, shepherding to pottery making. 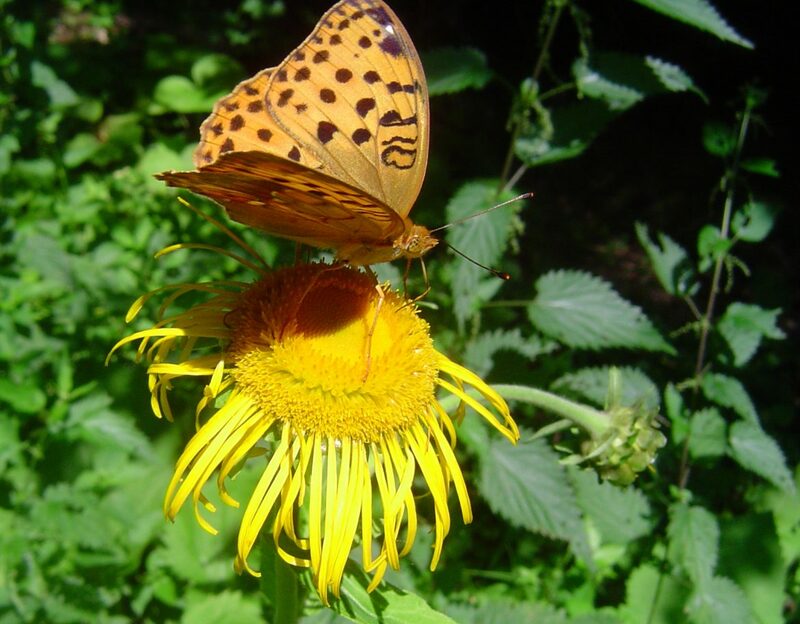 Agro-tourism and nature tourism can contribute significantly to the continued economic viability of this special area, providing a direct link between the High Nature Landscape and local incomes. 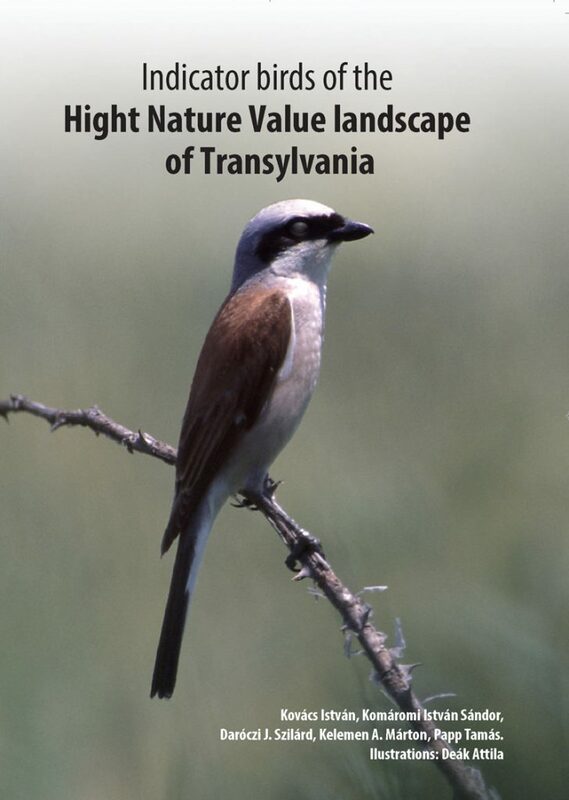 While continued traditional land management is the key for the survival of the landscape and the biodiversity of the area, additional income for farm households from agro-tourism and nature tourism is very important for the long term viability of the small-scale farming communities. ADEPT is active in agro-tourism training and marketing to promote the expansion of the network of bed and breakfast accommodation, and associated activities, in the area. 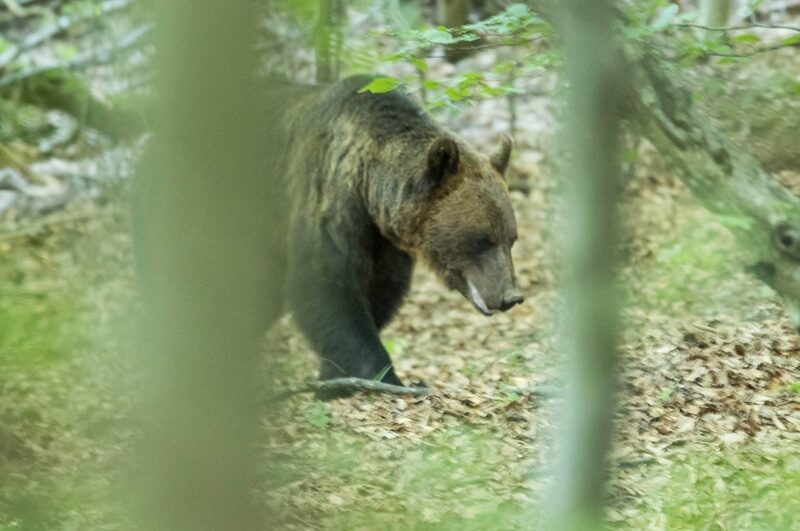 If tourism development is sensitive and relatively small-scale, it needs not to detract from the special atmosphere and biodiversity of the region, but it can actually support it. 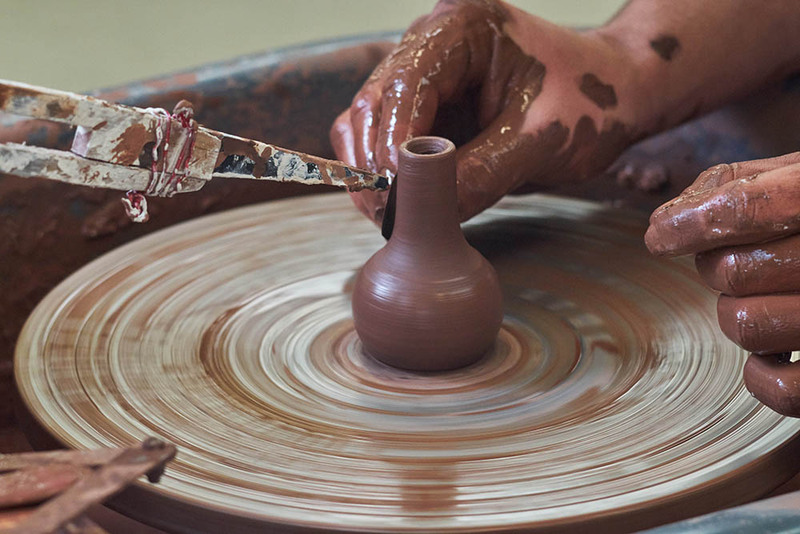 Tourism provides not only income for guest house owners, but also a market for many local products, in which local skills and good management are recognised and properly valued. 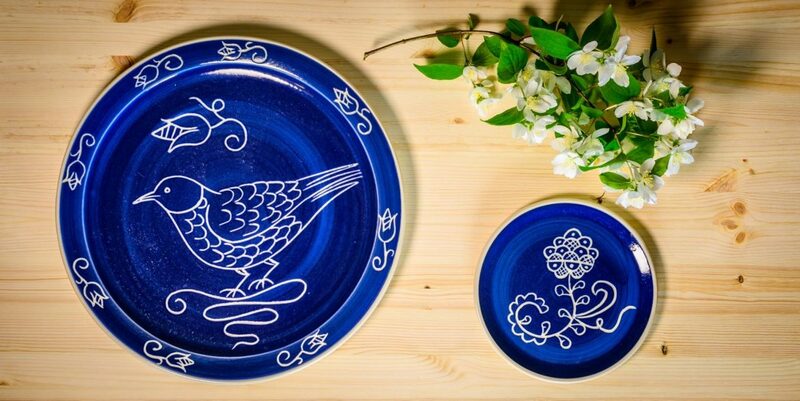 It is an ideal way to get money directly to local producers, especially women. 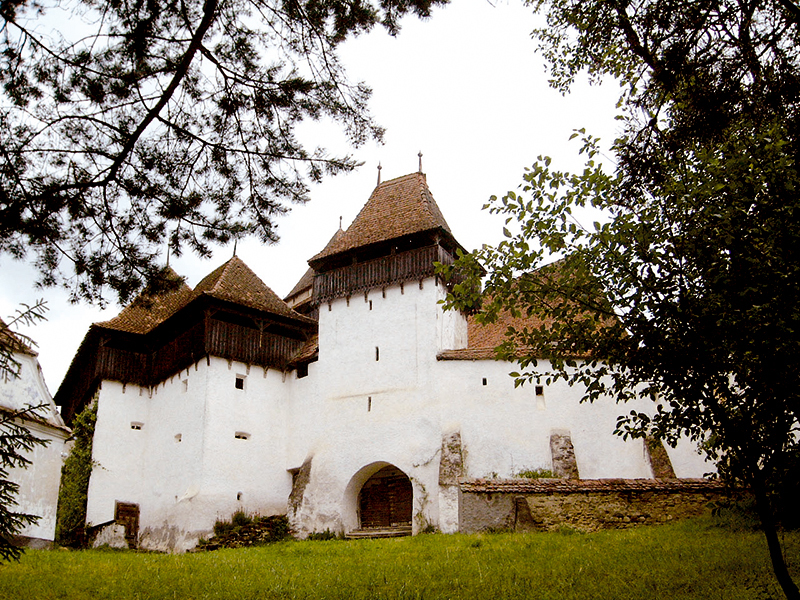 There is now a wide range of food, culture and walking activities for tourists visiting the Târnava Mare area, available both to independent travellers and through tour operators. 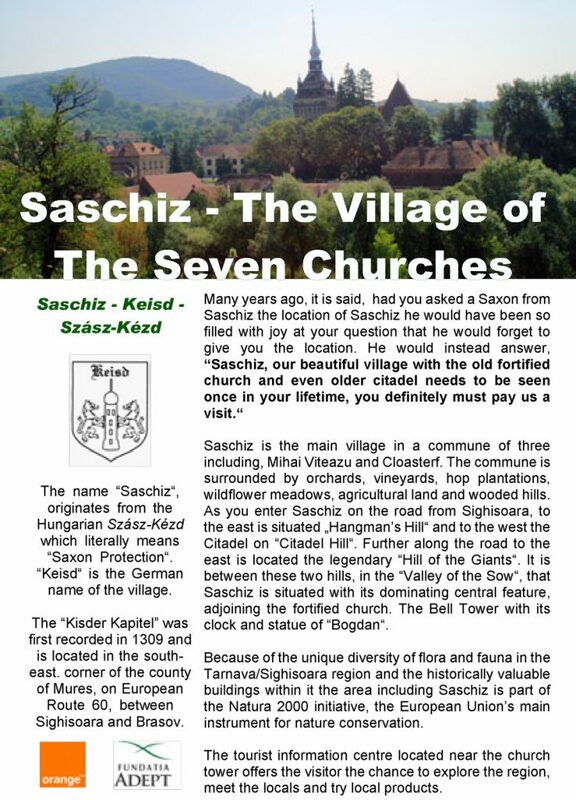 They are described in a series of booklets that can be obtained free from the Tourist Information Centre in Saschiz or downloaded from our publications section. 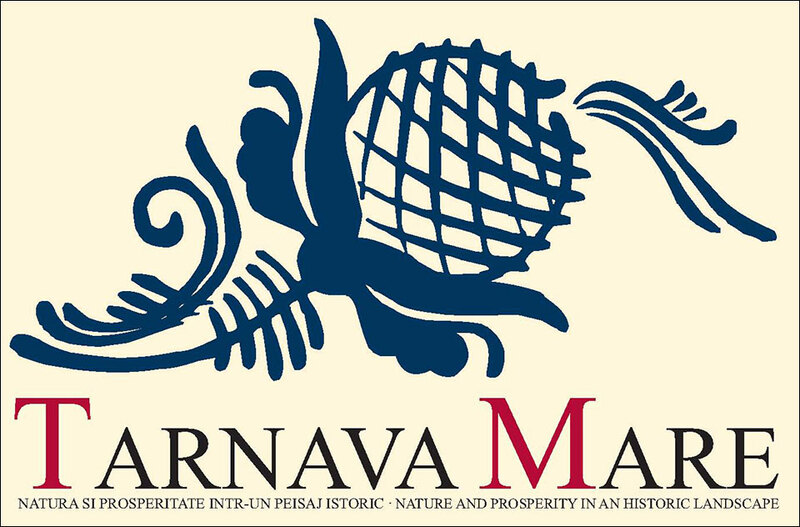 Please visit www.discovertarnavamare.org for more information regarding other activities available in the area. 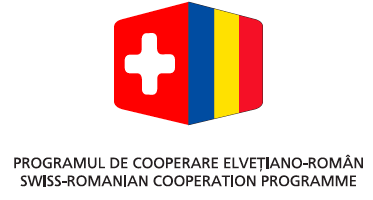 This website provides information, in English and Romanian, for people interested in visiting the area, and for those interested in obtaining the special local products and services of the area. 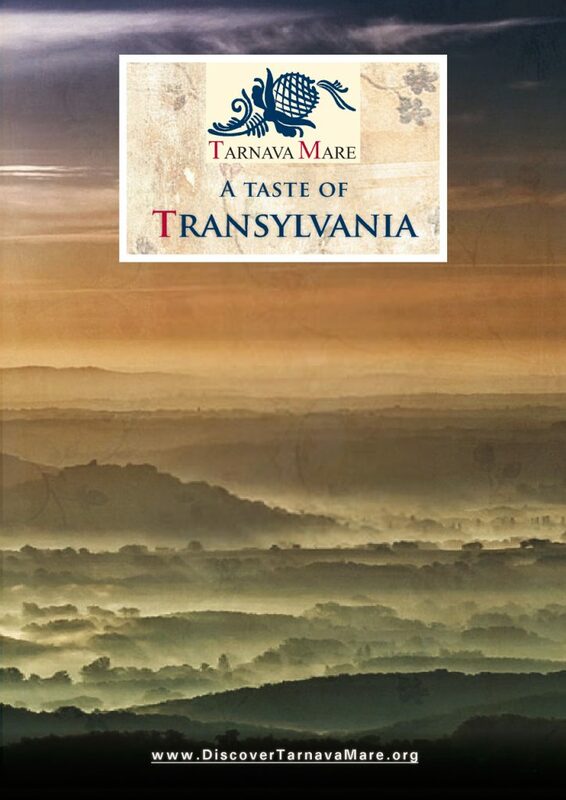 Fundatia ADEPT and local partners have established the Târnava Mare Tourist Association, promoting responsible tourism across the area. 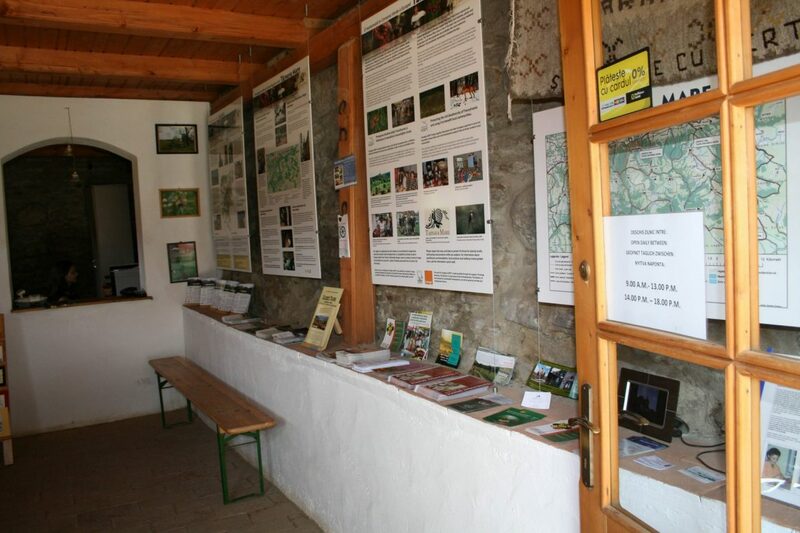 Fundatia ADEPT runs a Tourist Information Centre in Saschiz to give visitors information on the area and help them find local accommodation or F&B facilities. Local produce including jams, honey, baskets and other crafts are on sale. 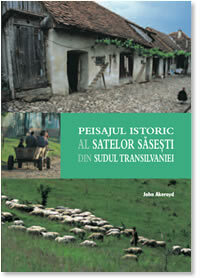 Postcards and other gifts are also available. 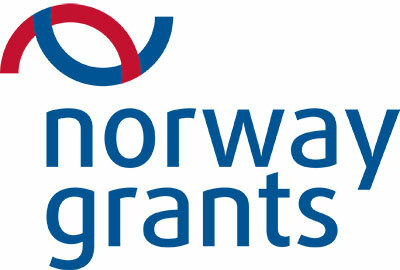 Guided tours can be arranged. 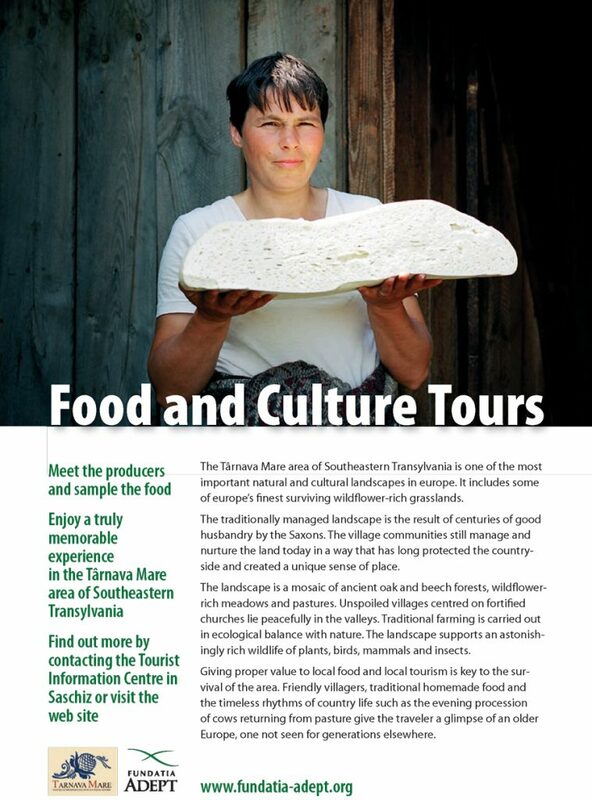 A 12-page brochure describing local food and its traditional production in the Tarnava Mare area. 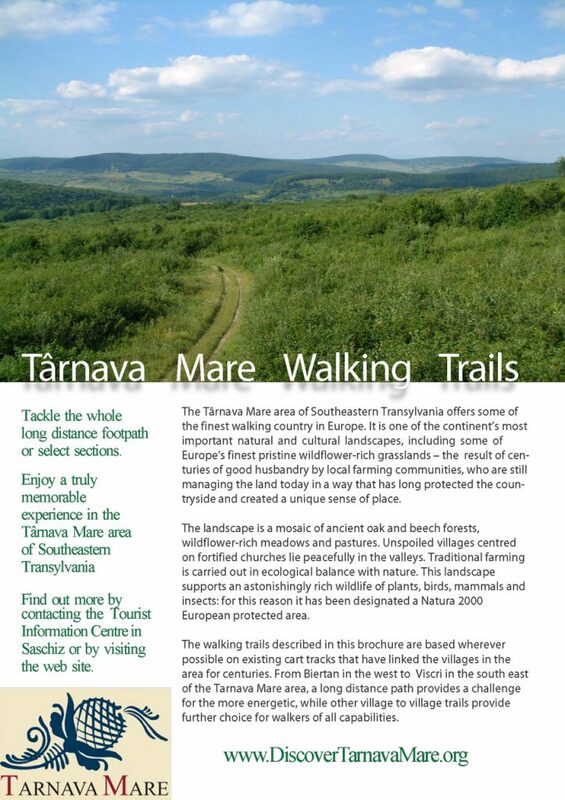 Tarnava Mare Walking brochure with detailed maps of the long-distance trail and shorter walking routes in the area.